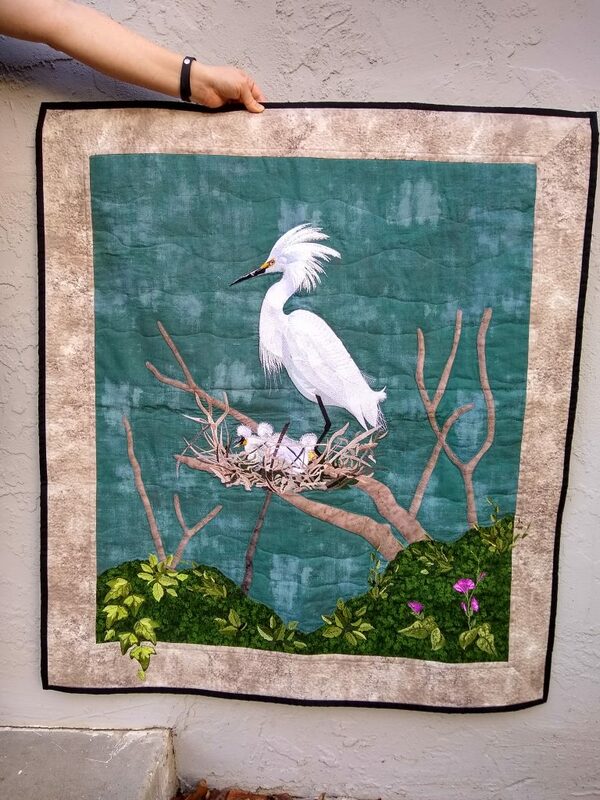 I’ve wanted to do a wall piece with the Snowy Egret (BFC0686) for a long time but wasn’t sure what I wanted for the background. Then my daughter sent me a photo (attached) that she took on her vacation, and I was inspired! Her Christmas present this year is a wall quilt (photo attached). In addition to BFC0686, I also used foliage bits from BFC1248, FBFC427, and a couple of designs from other digitizers. The large branches and the foliage background are raw-edge applique. I’ve never done a quilt before, so I learned many things! But not how to do good pictures, since the quilt is actually quite squared off. He’s just gorgeous Barbara! I’m sure some viewers will get great ideas for their projects. This is just beautiful. 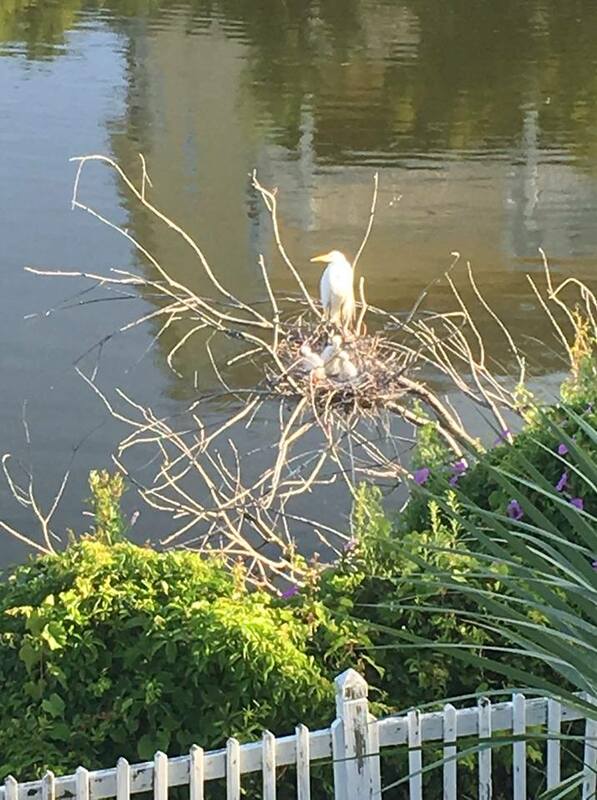 It reminded me of the egret I saw during my trip to Ireland. You are very talented. Previous Previous post: Creative Daughter and Mom!